Jocelyn and I were really pleased to be a part of the Do Hard Things conference in Portland, OR today. Jocelyn has known Brett and Alex for quite a while, but this was my first time at one of their events. 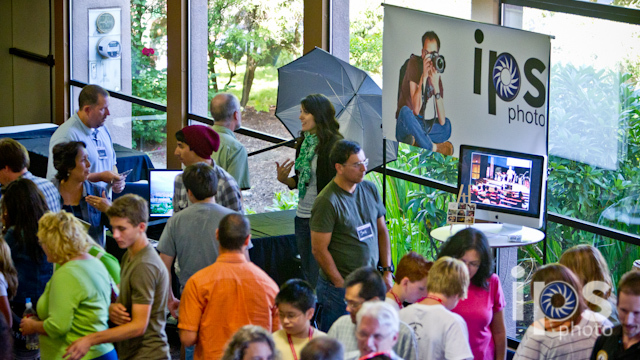 We had an IPS booth and created a lot of fun imagery of the event. Click Here to head over to the IPS Flickr Stream and see for yourself what makes these events a ton of fun and a great inspiration for Christian youth to throw off low expectations and do something significant with their lives. Visit the Do Hard Things conference website. Photographic Success Awaits in Colorado! Here at IPS, we are confident that we have the expertise to make you successful as a photographer. It doesn’t matter if you’re just getting serious about creating awesome images or you’ve been shooting confidently for years—we have the keys to your next level success at our workshops in Manitou Springs, CO this September. Prizewinning Photography 1 Sept 12-16, 2011 — Learn the foundations of professional photography. We cover apertures, shutter speeds, lighting, composition, business basics, and what all those little buttons do. Prizewinning Photography 2 September 19-23, 2011 — Master off-camera flash, foundations of portraiture, and digital workflow in Adobe Photoshop Lightroom as taught by an Adobe Certified Expert. Portraiture & Lighting September 19-23, 2011 — Stay tuned with what’s hot in the industry as you master multi-light wireless technology and the latest in posing fashion. By clicking “Buy Now” you are agreeing to the terms and conditions found here!